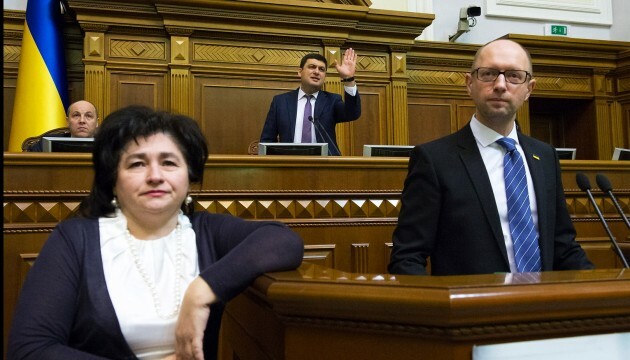 Ukrainian Prime Minister Arseniy Yatsenyuk states that the government under his leadership has done as much as it could. “This government has done as much as it could ... We understand that there is a discontent with the government, parliament, and all institutions of Ukrainian governance. But I’m, calling on you: regardless of your decision - we have no right to stop ... Let's build a new European home,” the prime minister stressed. According to the Samopomich Faction, 150 signatures to vote on distrust of government have been already gathered. Mustafa Nayem, an MP from the Petro Poroshenko Bloc, in turn said there were already 159 signatures. At present the factions of Petro Poroshenko Bloc, Samopomich, Batkivschyna, and the Radical Party are ready to support government resignation. The People’s Front faction neither supports nor rules out possible withdrawal from coalition.